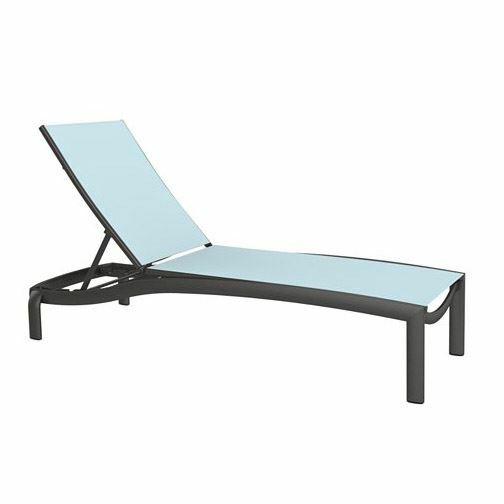 Our Tropitone Kor relaxed sling armless chaise lounge is great for sunbathing in well-known vacation areas. 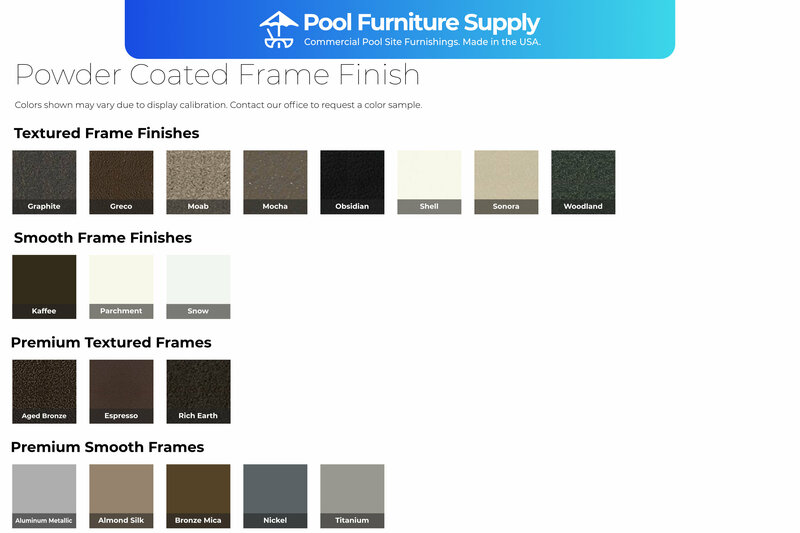 The commercial grade sling fabric is slightly slacked for a sunk in luxurious comfort. 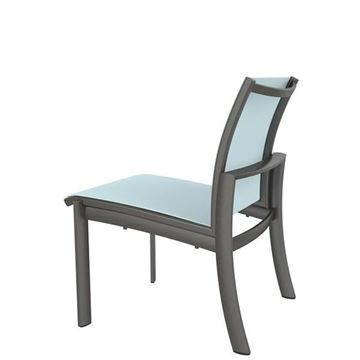 Features a modern powder-coated aluminum frame that will stack up to 4 high without chipping or peeling. 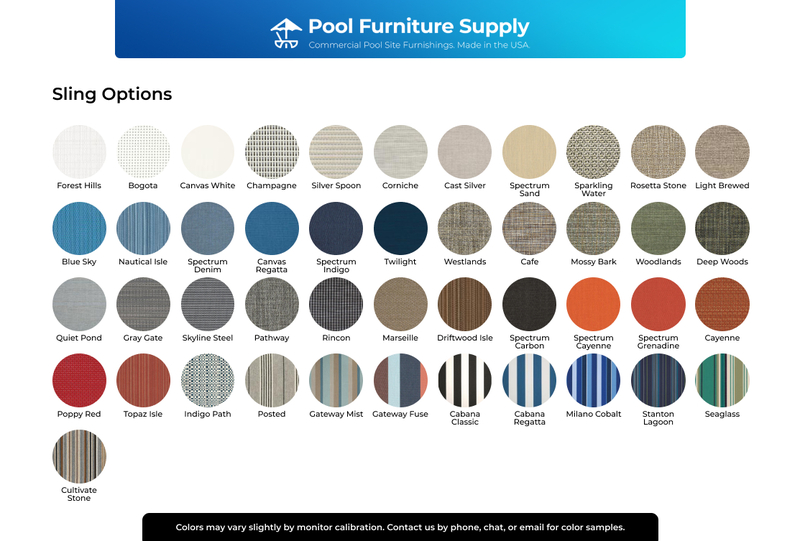 Get the complete Tropitone Kor collection and more at a discount price by requesting a quote from Pool Furniture Supply!